Staging Your Dallas-Fort Worth Home to Sell! Home staging is an ambiance that creates the mood to SELL. Staging goes beyond cleaning and minor repairs, it makes buyers eager as their first impressions are lasting impressions. Staging your home brings it appeal as it looks bigger, brighter, warmer, cleaner and most importantly “a place to call home”. Staging is performed after you've have thoroughly cleaned the home, gotten rid of the clutter, painted and made minor repairs. It is taking each room & maximizing its max potential through simple decoration. Staging should be done whether your home is the “only” home in the neighborhood for sale or if it is among many. Why? Because it does make a difference and you are able to price your home at a higher dollar value. Competition is typically great, and staging your home will make a difference. You want your home to have the first impression that lasts. 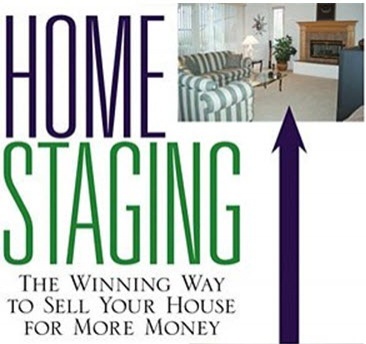 Studies show, and REALTORS® will tell you that homes that are “stage” sell faster and for more money! This is because ambiance is created, and immediately home hunters are drawn to the home with interest in the property. This in turn puts you in the position to yield top dollar for your home. Less is Best! Simplicity offers a much greater appeal than rooms that have too much clutter! There are many reasons for this- the room looks smaller, upkeep looks greater, open space is not as abundant. Get rid of what you can and create an appealing “open” atmosphere, if possible. If you have a vacant room in the home, add a few pieces of furniture and some accessories so that the room does not appear small. While many sellers do not understand this tactic, it is an important tactic and that is to “depersonalize” the home. Remove family pictures, religious items, diplomas, and memorabilia so that your buyers can see themselves in the home. Always allow fresh air in the home. If possible boil cinnamon and nutmeg on the stove before the home buyers arrive to view the home. Turn the lights on in each room and open the curtain, blinds or drapes. Make sure the windows are clean! Always consider extra touches that offer an inviting and homey feeling- fresh flowers, home baked cookies on the counter, a log in the fireplace, and so on. Make sure all cabinets are coated with orange oil and put a bowl of fruit in the kitchen. In the bathrooms, have guest towels and baskets filled with spa treatments and aroma therapy candles. On the exterior of the home, you definitely want to “show off” your outdoor living space. Decorate the outdoors. Add bright colored table clothes and plastic dinner plates and napkins to picnic tables, place strings of party lights up, and have potted flowers and plants in areas that might be empty. The exterior should be a home in itself. The front yard !